Mamushkas was formed in 2001 as a detachment of Pirata Industrial (a great 90’s band, praised, among others, by Nirvana, in its way through Buenos Aires) After several musicians, the band was formed by Thomas Loiseau ( voice and bass), Charly de la Vega (Drums), Luciano Taffetani (Guitar) and Paul Narezo Chala (Chorus, delay, and guitar). Mamushkas debut was in December 2001 in Salon Pueyrredón. In 2003 Mamushkas recorded “La Guerra de los Mundos,” a 4 songs EP which included the mixture of Adrián Taverna and released in early 2004. This album was released independently in Argentina and through Komune Records in Spain and Portugal. In 2004 filmed the video of the song “Disparen” directed by Mariano Tomiozzo and Pablo Faro. Mamushkas shared the stage with bands such as Iggy Pop, Marilyn Manson, Massacre, Cadena Perpetua, El Otro Yo, 448 (Tucumán), Carajo, etc.. and played in places such as Cemento, Republica Cromagnon, Salon Pueyrredón, Club Ciudad de Buenos Aires, Bocephus, Tío Bizarro, Parque Centenario, CBGB, Speed King, and participated in several tours in Argentina playing in Tucumán Cordoba, Entre Rios, Santiago del Estero, Salta, Jujuy, Tandil, Rosario, Mar del Plata, etc. 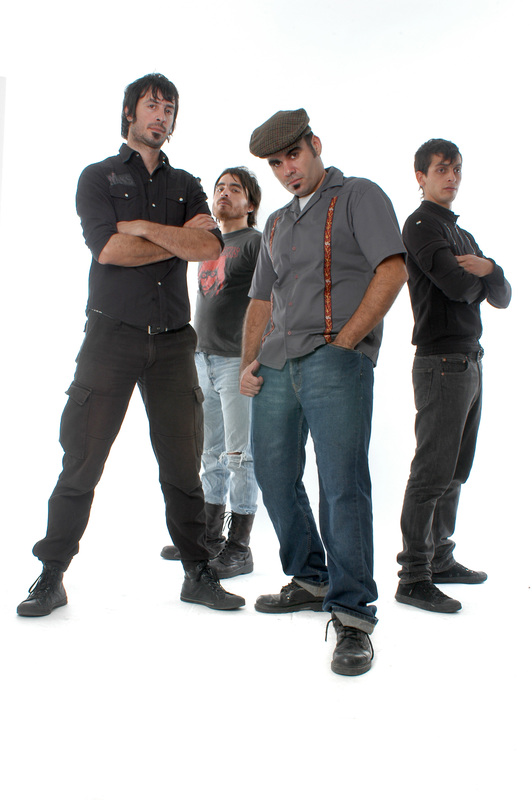 In 2004, following the departure of Pablo Chala Narezo and Luciano Taffetani, joined Mamushkas: Marcos Garcia on bass and Mariano Peralta on guitar. In 2007, after participating in the editions of the Pepsi Music, the band recorded their second album “MAMUSHKAS” which was released in 2008, through Tommy Gun Records / Universal. This album was recorded in Satured and mixed in El Abasto during January 2008 by Marcelo Belen and Eugenio Parracía. That year, Omar Kischinovsky (ex El Otro Yo) joined in drums.and Hernan Valente and Federico Pertusi as invited members.